A few years I ago, I visited a friend in Washington, D.C., and he took me to my first Ethiopian restaurant. The dining experience was so unique. Instead of eating with utensils and sitting at a table, we used a tortilla-like flat bread to scoop spicy vegetables and meat from a straw basket called a mesob. Upon my return to Jackson every other dining experience felt lackluster and boring. 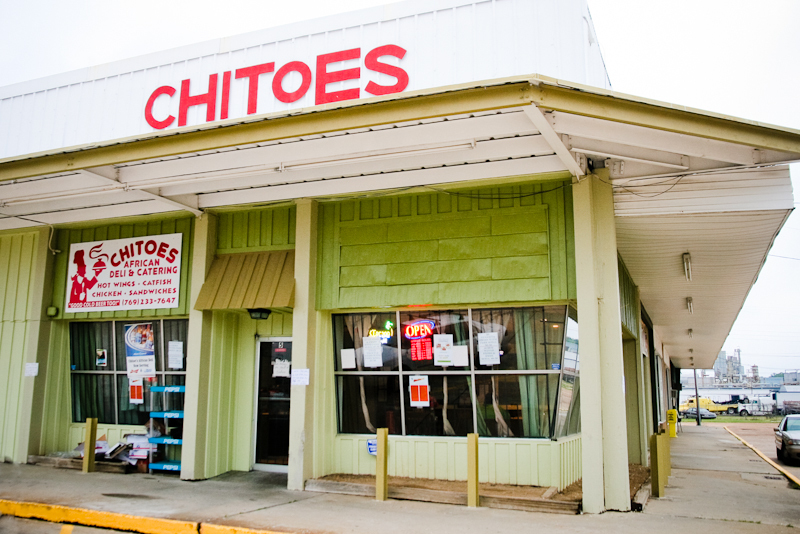 Recently, I discovered Chitoes African Deli and Catering in South Jackson (1700 Terry Road) and I had an is-this-really-happening in Jackson moment. 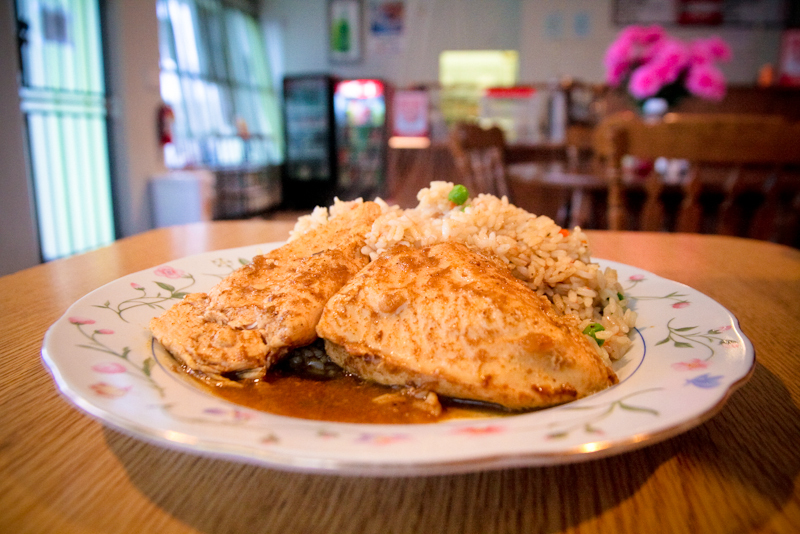 The owners, who are from Nigeria, set up shop about a year ago, adding to South Jackson’s mix of ethnic dining options (If you haven’t discovered South Jackson’s taquerias, you must). Chitoes offers a sliding scale of food experimentation. My dining partner and I decided to split two dishes: Egusi soup with goat and fufu (out of my comfort zone) and curry chicken with coconut rice (within my comfort zone). 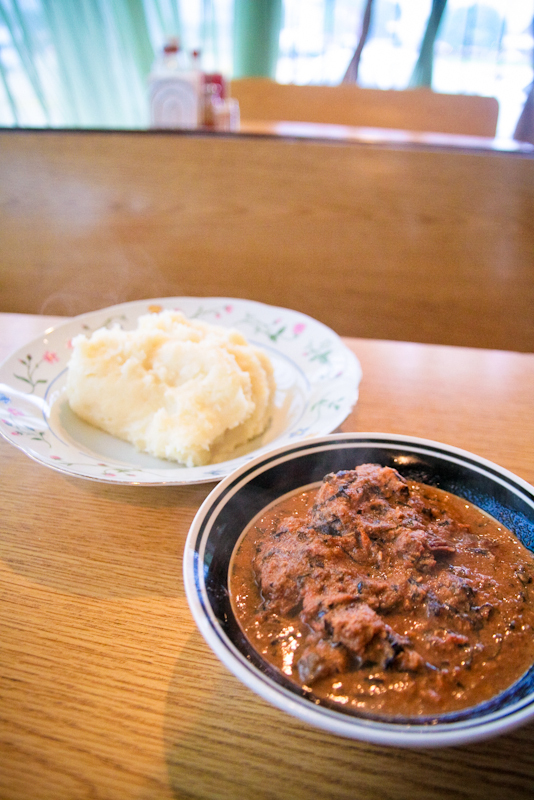 Fufu is a basically a lump of starch that looks like mashed potatoes but has a thicker constancy. It’s pretty heavy, so I don’t recommend going for a swim afterwards. I had never had goat before and it really isn’t too crazy, just be prepared to deal with a bit of fat and bones. The sweetness of the fufu went pretty well with the goat as well as the soup and various spices. The curry chicken and coconut rice was a perfect mixture of sweet and spicy, and the chicken was so tender I could barely sink my fork into it without it falling apart. The menu offers lots of fish and rice dishes as well as ton of dishes that I’ve never heard of. The deli also has beer such as Corona and Heineken. The deli was out of most of the appetizers such as plantains and meat pies when I visited, but the owners are very attentive and apparently buy all their products nearby at an African market on Highway 80. 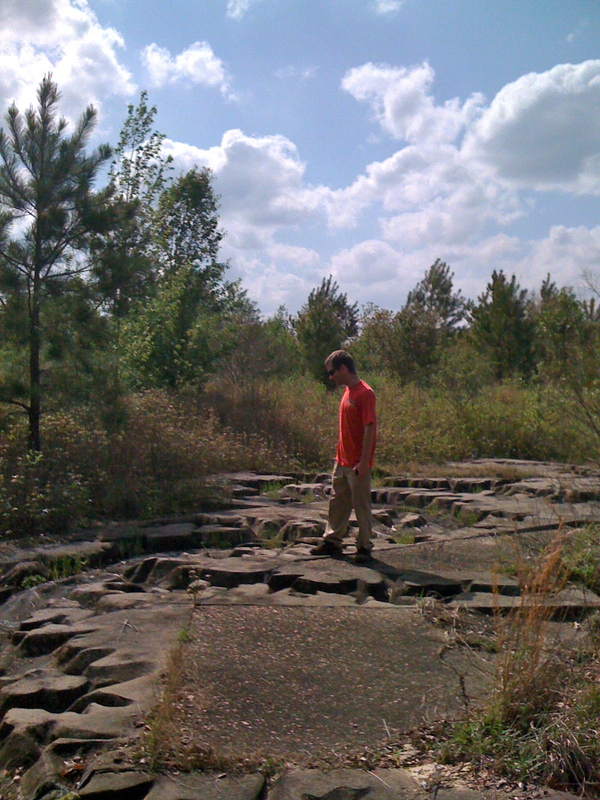 I’m glad Jackson has something so unique and off-the-beaten path. I can’t wait to take my guests from out-of-town to eat there. Near the southwest Jackson/Clinton line, a 200-acre oddity of concrete and steel is quietly disappearing into the underbrush. It’s the Mississippi River Basin Model…or at least, what’s left of it. Which, to me, is still pretty impressive, and well worth seeing before nature takes over altogether. It’s a colossal relief map so large, you get to explore it on foot. You can’t see it all from one place, but you can climb the old tower, if you dare (it’s surprisingly sturdy, actually) for a somewhat better view. I for one never quite figured out which end was NOLA and which was St. Louis, but it was fun to guess. Every part of the river basin’s topography, from the shallowest streams to the deepest channels, floodplains and levees, is sculpted in concrete to an exacting scale. 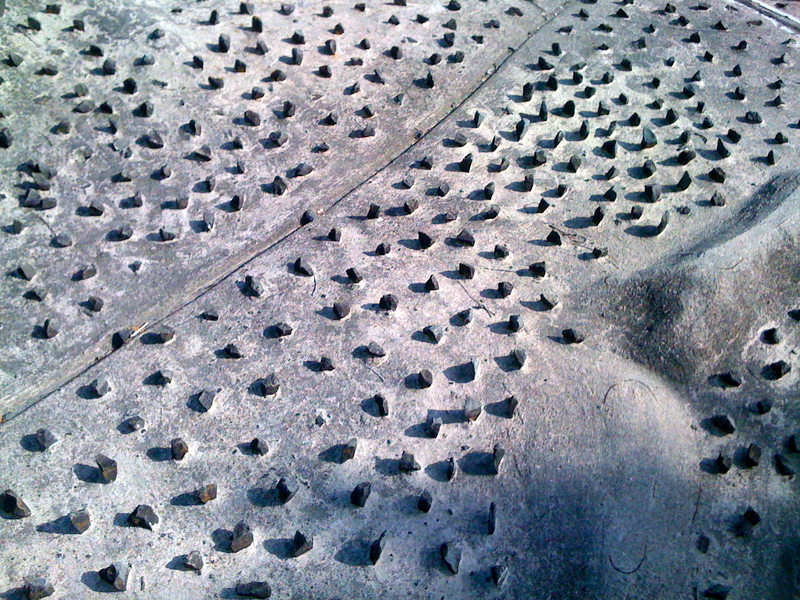 In certain places, groups of metal pegs and mesh wire were deliberately placed along the river bottom. 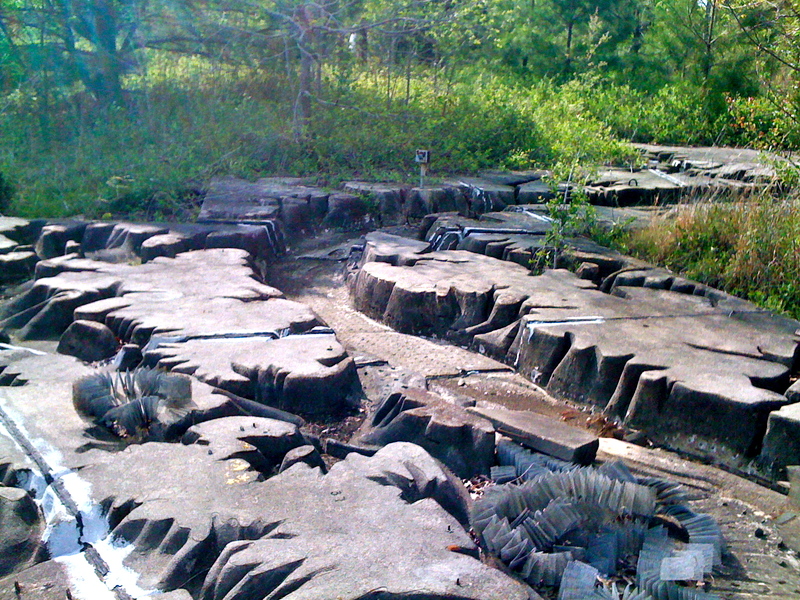 Two theories emerged in our party: simulated debris to mimic natural current interruptions, or an attempt to prevent the ruins from becoming a sweet stake park. The former turned out to be correct! 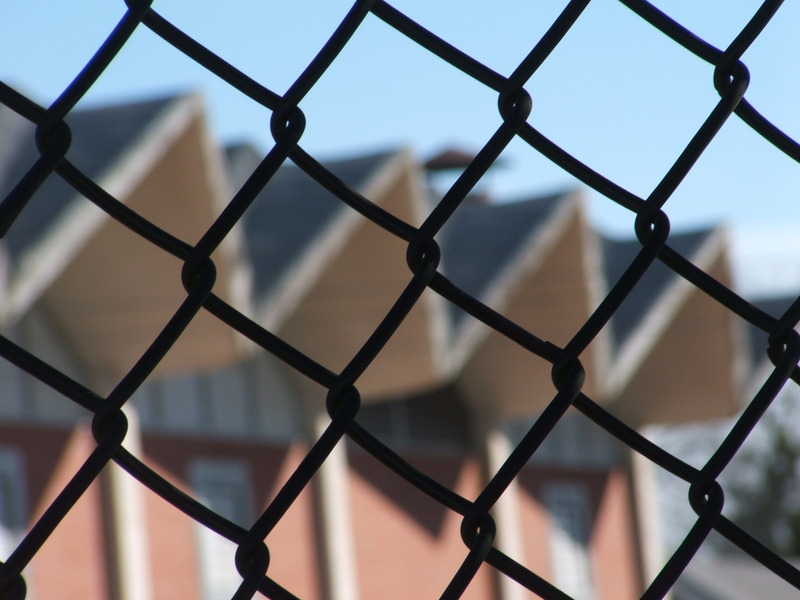 Growing up nearby, I had heard stories for years about this place, described as everything from a “defense experiment” to a “prisoner of war camp.” I went to Google to set the record straight – and found a tiny bit of truth behind both tales. In its heyday, this bizarre construct was a state-of-the-art calculations device. The Army Corps of Engineers designed it specifically to help predict floods, droughts and other conditions throughout the river basin, which incidentally covers 41% of the continental U.S., and even parts of Canada. In 1943, German prisoners of war, handpicked for the project for their engineering backgrounds (and precise nature, no doubt), began the dirtwork. The Corps completed the project over the next several years, calling occasionally on Jackson-area contractors for additional concrete work. 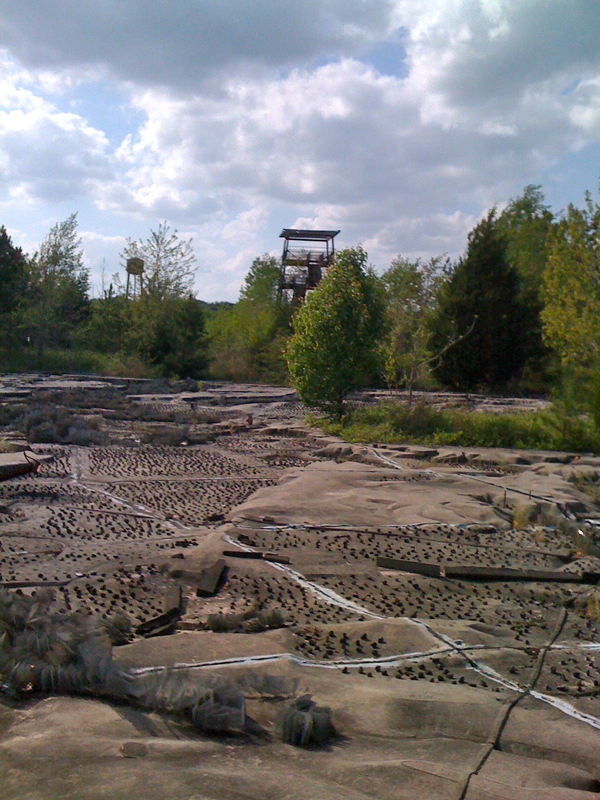 What I found most amusing in my research was a photo in this article < http://misspreservation.com/2010/02/10/before-and-after-mississippi-river-basin-model/ > of the place in its prime. Forget the drive-ins, folks. Apparently, “engineering types” once brought their dates here to impress them with their knowledge of waterways experiments! Smooth. As you probably guessed, computer modeling replaced the need for physical structures like this. It was abandoned in 1993, but to see it today is still quite the experience. Nowhere else can you follow the twists and turns of the Mississippi and its winding labyrinth of streams and inlets as they carve their way throughout the Mississippi River Basin at the rate of one mile per step. It’s almost like being a giant. * One foot equals 2,000 feet in a horizontal direction (about a mile per footstep)-but only 100 feet in a vertical direction. * It’s on the national historic register, but currently has no funding for preservation. See it while you still can! 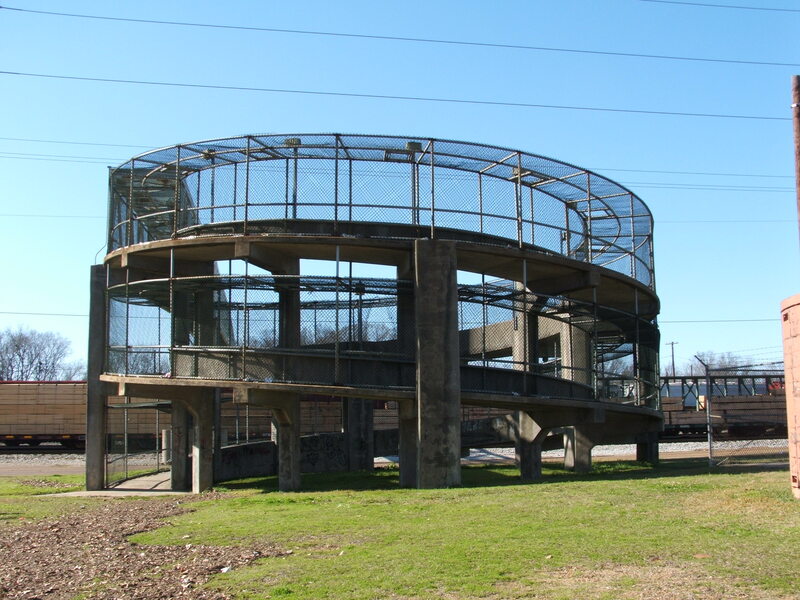 If you’ve ever driven from Fondren to Downtown via Mill Street, you’ve probably noticed the unusual helical structure leading up to the pedestrian bridge over the rail yard. This is the Charles Tillman Bridge. The structure is named in honor of ward 5’s city councilman, who not only is still alive, but is still a city councilman and currently serving as council vice president. Seems a bit soon to get a bridge named after you, but whatever. 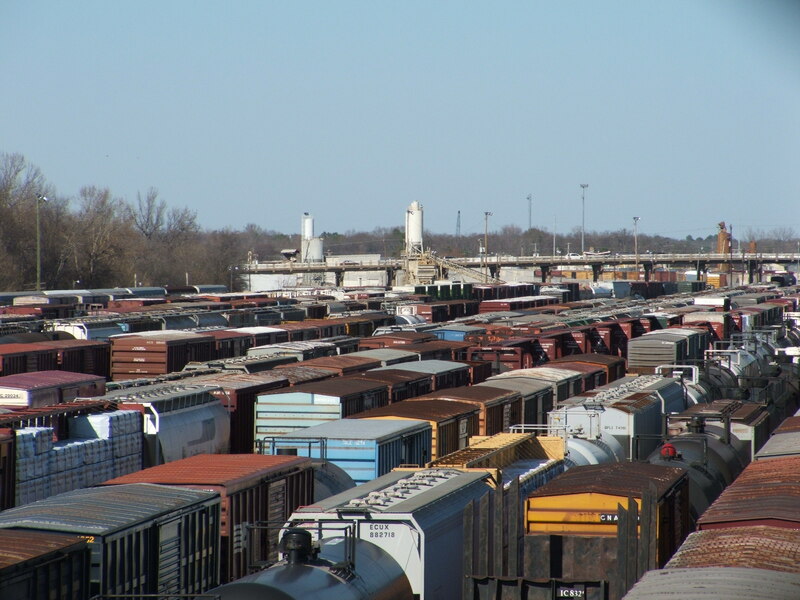 The bridge connects the neighborhoods of Midtown and Georgetown that would otherwise be divided by a large rail yard of which the bridge offers an excellent view. 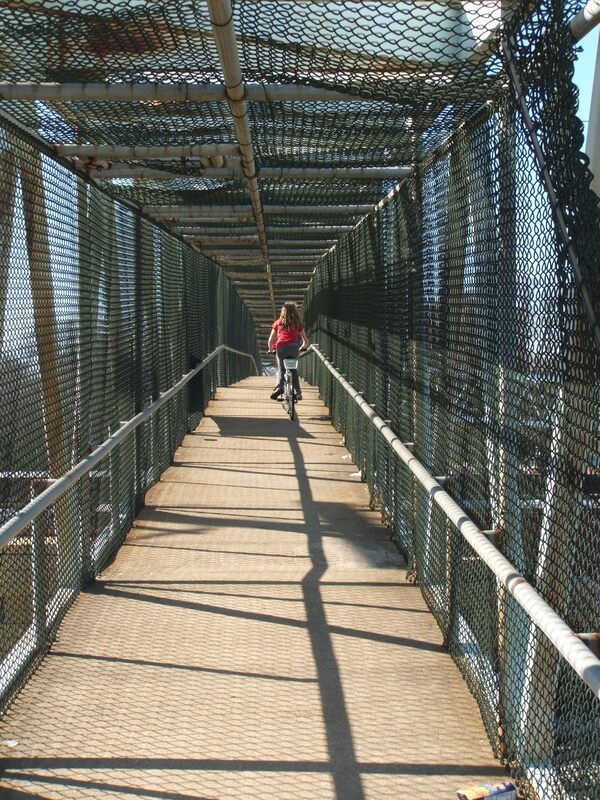 The bridge is used by a wide variety of people, but gets most of it’s traffic from school kids crossing over to get to Brown Elementary and Rowan Middle School. The structure also offers a nice view of Rowan’s strange corrugated roof. While it’s plenty of fun to walk, it’s hard to beat riding across and down the spiral on a bicycle. 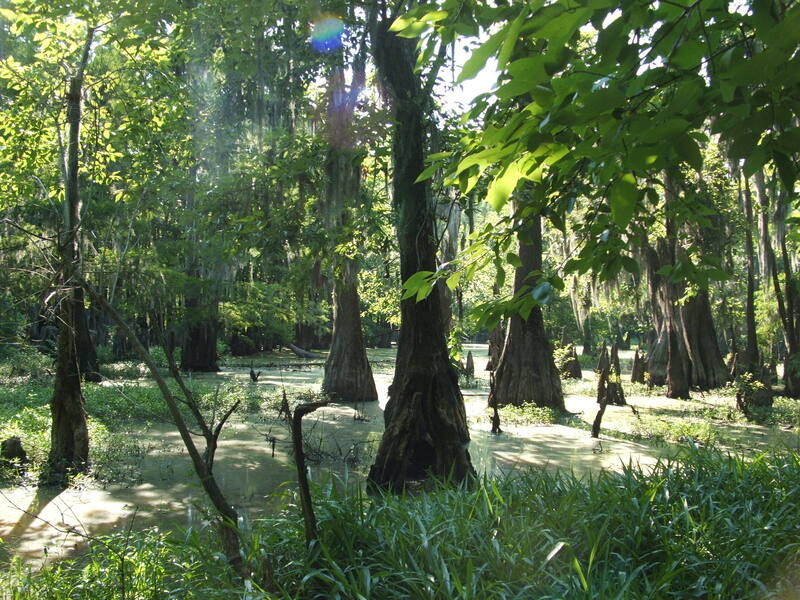 Right behind one of Jac kson’s poshest neighborhoods is a natural treasure: an ancient cypress swamp. The word “swamp” isn’t usually associated with a neighborhood (especially Eastover!) but this one is remarkably close to the city. This place is literally crawling with life, including, but not limited to alligators. 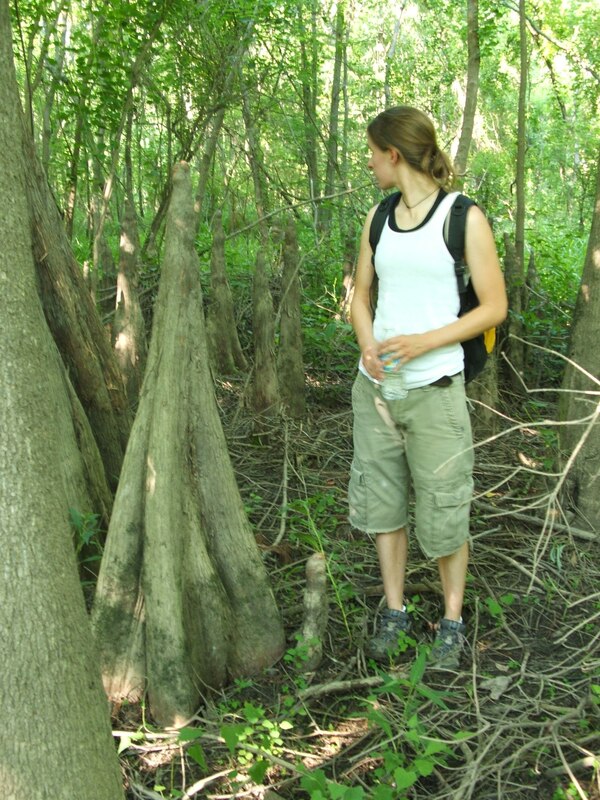 While cypress swamps aren’t really rare in the state, a feature that makes this one unique is the sheer size of the “knees” that poke up through the forest floor around the trees. 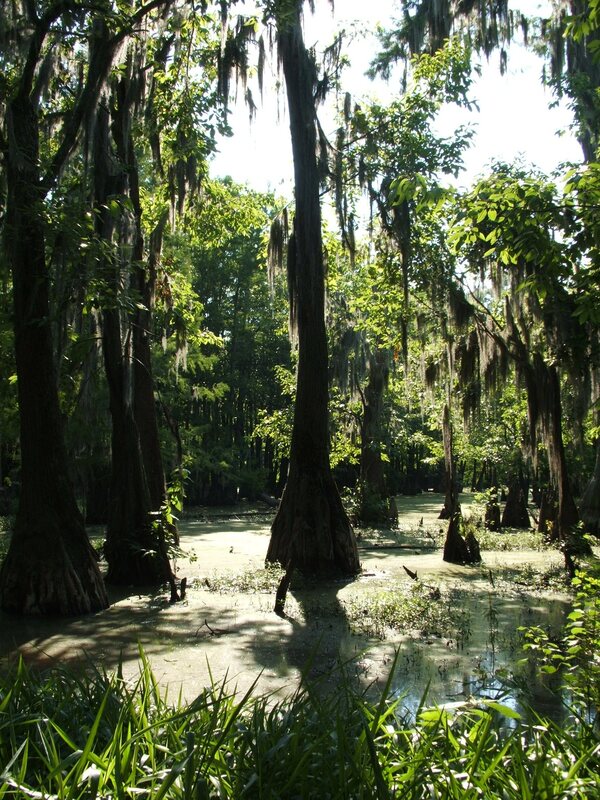 If the water isn’t too high, you can walk amongst cypress knees as tall as 5ft! Seeing these got me curious about the biological purpose of the cypress knee. Apparently, scientists can’t really agree on what the purpose is. Some think that they are able to make the most of oxygen-depleted swamp water, while another theory is that they help provide more structure in soggy soil. There is also the possibility that they have some vestigial purpose, lost to evolution over eons, kinda like an appendix. I think they just keep kids from building ropeswings in the trees. A few years ago I visited a friend in Brooklyn. On one of our lunches together, he took wanted to take me to The Taco Factory, a place recently written up in the NY Times. I assumed it was another trendy New York cafe, but it was nothing like I imagined. In the corner of a giant warehouse where forklifts buzzed around and workers lined conveyor belts, sat a little eatery designed to serve employees of a factory. We ate amazing tacos side by side with workers wearing hair nets and Brooklyn hipsters in the industrial atmosphere of a literal “taco shell factory”. This morning I saw the potential for a similar experience in Jackson. 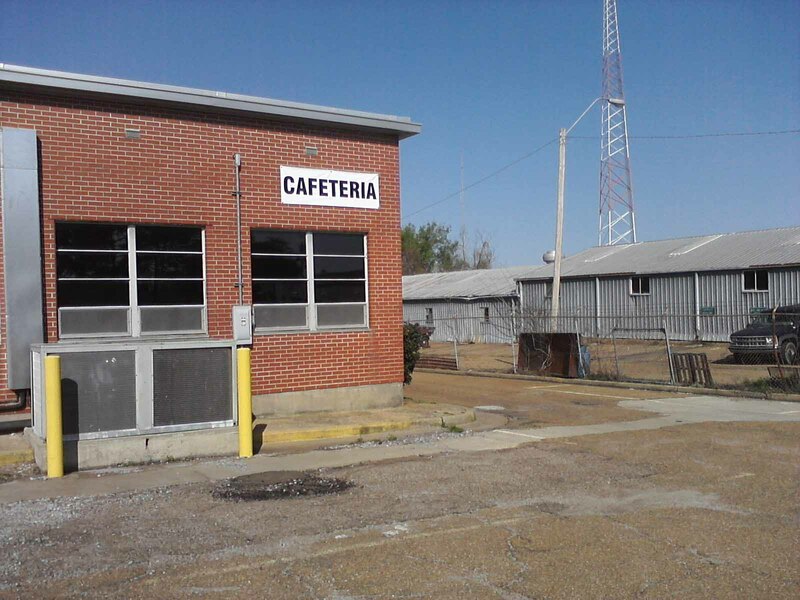 On the edge of Fondren, inside the Mississippi Industries for the Blind is D & L Cafeteria. I know Fondren isn’t Brooklyn, and this blog certainly isn’t the New York Times, but it’s easy for me to imagine how white-collar folks might enjoy eating in this blue collar atmosphere. 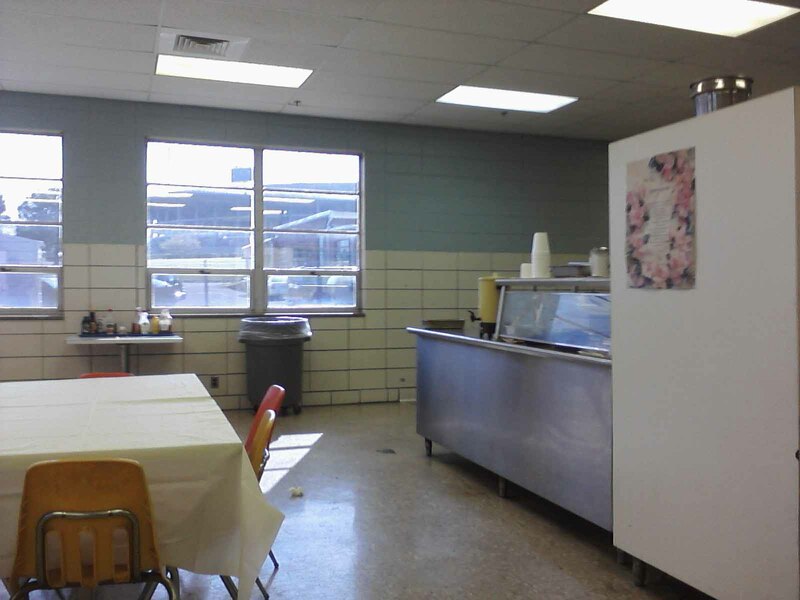 Just off of West Street, the entrance to the Cafeteria is unpretentious, and simply labeled “Cafeteria”. 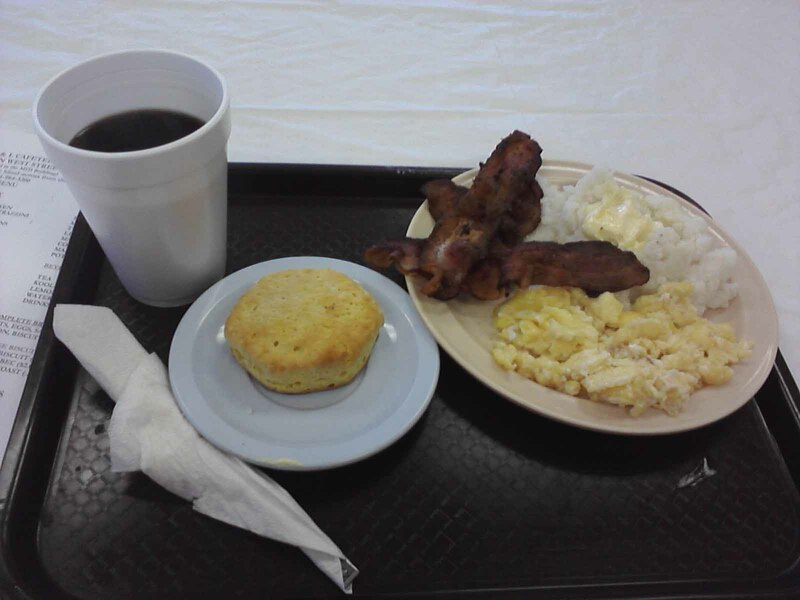 Inside, the friendly employees will load up your plate with as much sausage, bacon, eggs, and biscuits as you can stand for $4, and that includes your self serve coffee. The dining area, which is typical of institutional buildings, boasts a nice view of Veterans Stadium. Occasionally, a loudspeaker calls various employees to the office. Apparently, the dining area doubles as a conference room. I was fortunate enough to be present for a group of employees receiving training on workplace behaviour and sexual harassment. 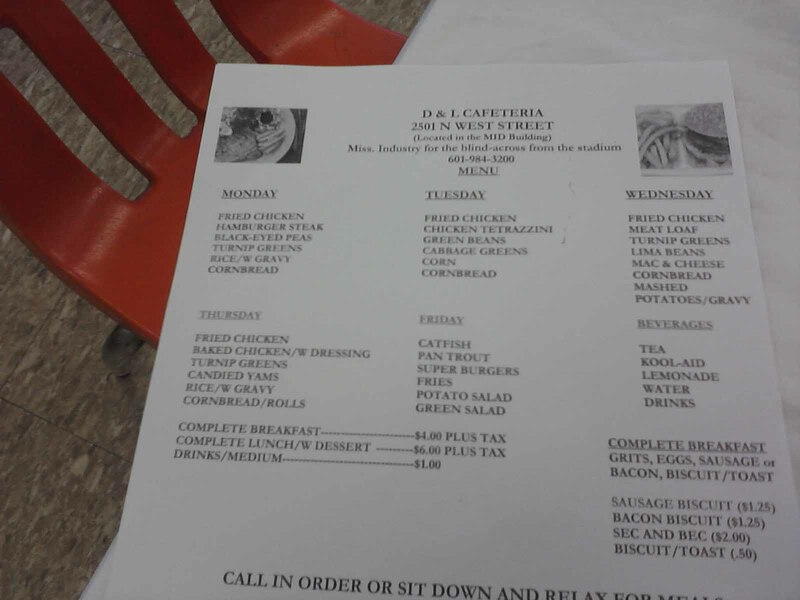 All in all, D & L Cafeteria is worth a visit, especially if you need to escape from the white collar world. They also serve a plate lunch, but will have to be another visit.